Typical courses include: chainsaw certification, brush cutter and sprayer certification, MIDAS type driving courses. Practial skills courses eg hedgelaying are on another page. Course looking at the theory behind these employing these techniques are another page. First aid and health and safely type courses have a separate page. Four days training plus a fifth day for the assessment. Covering the maintenance of a chainsaw, cross cutting and felling and processing trees upto 380mm in diameter Ideal for those new to chainsaws or those needing certificates of competence evidence. The course is divided into a theory session and a practical session. The aim of the course is to allow candidates to confidently be able to treat wasp and hornet nests with professional grade products as they will have received training as required by the Control of Pesticide Regulations 1986. Anyone using a chainsaw in a tree. You must already have NPTC Maintenance and Cross Cutting, Felling Small Trees (CS30 and 31), and NPTC Tree Climbing and Aerial Rescue. (CS38) qualifications. First Aid training strongly recommended. One day integrated training and assessment covering pre use checks, maintenance and safe use. Ideal for those in industries such as horticultural, landscaping, grounds maintenance sectors. This course is for people who use knapsacks or hand lances from a tank on or near water only, the pre-requisite is PA1. Training is one day plus one day for the assessment. This course is for people who use knapsacks or hand lances from a tank, the pre-requisite is PA1. Training is one day plus one day for the assessment. A practical hands on course designed for woodland owners and home owners who use a chainsaw on their own land. Including: Safe starting and stopping of a chain saw, choosing an appropriate model, Cross cutting techniques, Simple felling techniques, sharpening and maintenance, things that go wrong. Half a day integrated training and assessment covering pre use checks, maintenance and safe use. Ideal for those in industries such as horticultural, landscaping, grounds maintenance sectors. The RSPH Level 2 Award in the Safe Use of Rodenticides provides learners with an understanding of why the purchase and use of rodenticides is controlled and why other rodent control methods should be considered before rodenticides are used. Phostoxin and Talunex for the control of rabbits, rats and moles requires you to hold a certificate of competence to buy and apply the product. This one day training plus one day assessment will enable you to do so upon achievement. Anyone who is required to maintain and operate chainsaws where an NPTC certificate is required, or those wishing to fell trees over 380mm, or to go on to use a chainsaw in a tree. Suitable for thosewho alreadt hols CS30 & CS31). 3 days of training in cluding the NPTC assessment. Anyone who is required to maintain and operate chainsaws where an NPTC certificate is required, or those wishing to fell trees over 380mm, or to go on to use a chainsaw in a tree. Suitable for those with little or no experience or previous certification. 5 days of training in preparation for the NPTC assessments. This course is being part funded through theStories in Stone project. Half a day integrated training and assessment covering pre use checks, maintenance and safe use. Ideal for those in industries such as horticultural, landscaping, grounds maintenance sectors. This course is for people who use mounted, trailed boom sprayers, the pre-requisite is PA1. Training is one day plus one day for the assessment. Grandfather Rights Unit 3 can be run along side this course. Three days training plus one day assessment, covering how to deal with emergency tree work operations. Techniques, winching and safe operation. This course will teach you all you need to know about Brushcutters and Trimmers and will lead to a LANTRA certificate. Two days training plus one day assessment. Felling and processing trees above 380mm in diameter. 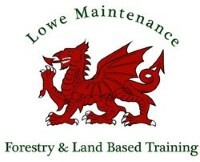 Three days training plus one day assessment, covering how to deal with windblown trees on forestry sites. Techniques, winching and safe operation. This course is for people who use weed wipers, the pre-requisite is PA1. Training is one day plus one day for the assessment. Grandfather Rights Unit 3 can be run along side this course. One day training plus one day assessment covering maintenance, pre use checks and safe operation of quad bikes (sit astride). Ideal for those working in agriculture, game keeping, landscaping, forestry etc. This is a one-day course aimed at those who want to add vertebrate trapping, such as moles and rabbits to their portfolio. This course covers safety features, preparing the chainsaw for use with correct fuel and lubrication and cross cutting timber accurately. This unit must be completed before progressing on to further chainsaw courses. This course will further expand on your knowledge gained by the CS30 course (City & Guilds NPTC Level 2 Award in Chainsaw Maintenance and Cross Cutting). This course will take you onto felling trees up to 380mm in diameter, including performing tree operations using hand tools. This course further expands on the knowledge gained in CS30 and CS31. This course will take you onto felling trees over 380mm in diameter, including performing tree operations using hand tools. The felling technique will be appropriate to tree size, weight, condition and species. The PA1 unit is a theory based course and covers the legislation, health and safety requirements, precautions, product label information and safe handling and use of pesticides. The PA6A practical unit covers the handling and safe use of pesticides using knapsack sprayers. Completion of the assessment will give individuals a lifetime qualification and the commercial licence for the relevant units completed. This course would benefit anyone already working or considering working in a horticulture environment, agriculture or anywhere pesticides may need to be implemented. This course covers pre-use checks, maintenance, identification of controls and instruments, and operating the machine, taking in to account the type of cutting mechanism used (rotary, cylinder, flail or reciprocating knife). This course covers pre-use checks, maintenance, identification of controls and instruments, and operating the machine taking in to account the type of cutting mechanism used (rotary, cylinder, flail or reciprocating knife or greens machine with interchangeable units). This course would benefit anyone already working or considering working in a horticulture environment, agriculture or anywhere pesticides may need to be implemented. This one day course is theory based with a small practical element, aiming to provide delegates with the basic knowledge to understand the principles of best practice in operating a wood chipper. It also covers maintenance aspects. This one day course aims to provide delegates with the base knowledge to understand the principles of best practice in operating and maintaining Stump Grinders. The Provision and Use of Work Equipment Regulations 1998 require employers to provide adequate training in maintenance and operation of brush cutters and trimmers and to ensure that equipment is operated only by employees who have received appropriate training in their safe use. Lantra Sit in ATV training available in Skipton or at your chosen location. The ROLO training course is a pre-requisite for anyone applying for a LISS/CSCS card. The course is run from our head office in Guildford, Surrey. We can also provide training at your location if numbers are viable. Successful candidates will receive ROLO certificates produced by BALI.